This is not your average conditioner. It is "the" natural solution for unruly, dry hair. The tamer of tangles. 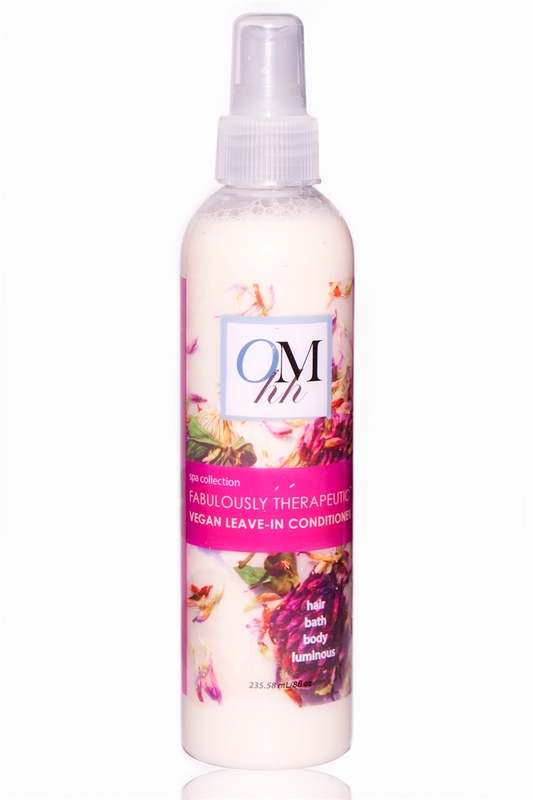 OMhh's Fabulously Therapeutic Vegan-Leave-In-Conditioning Milk unique formula creates a protective bond around the cortex that smoothes the cuticle as it deposits moisture, shine and body daily. Uses: Luxuriously detangle hair. Daily Moisturizer. Soften & nourish curls and strands. Daily moisturizer for braids and Locs. Vegan. Detangles Hydrates. Nourishes. Conditions. Daily Moisturizer. No parabens, Not tested on animals, Suggested for all hair types.